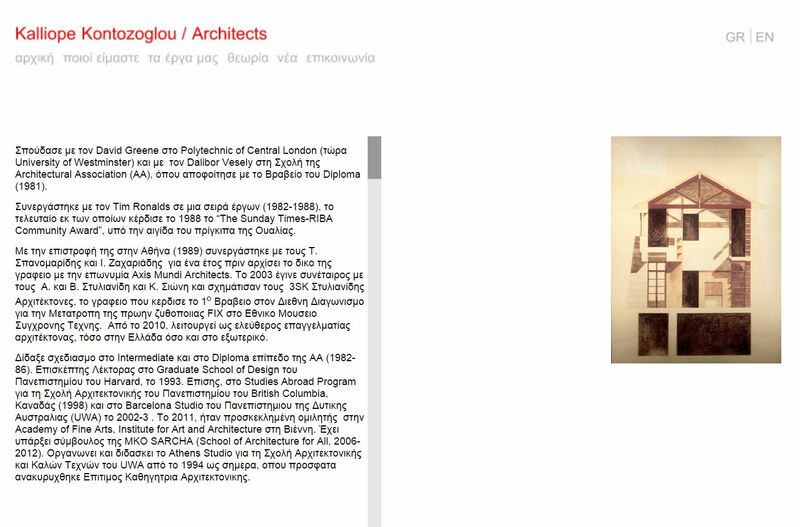 We have to admit that we didn’t know the word “Bauhaus” (except from the band, of course) before that project. 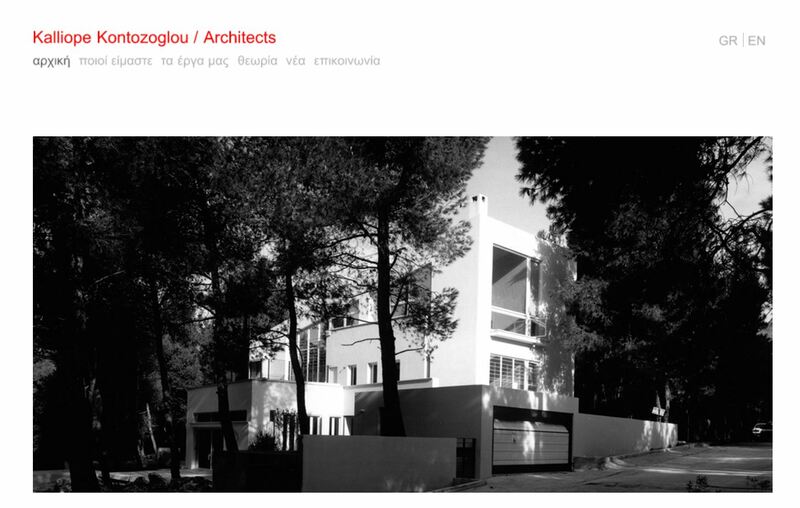 Kalliope Kontozoglou is a highly sophisticated architect with projects that rely on the poetic conception to inform the design and to displace the banal and the conventional. One word for this project : minimal. 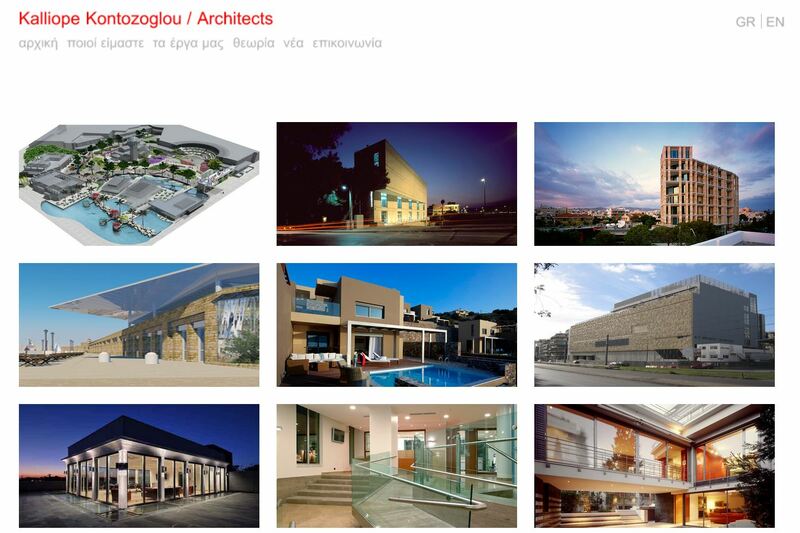 Our main goal was to show Mrs. Kontozoglou projects through a lightweight website and leave only just the absolutely necessary information for the visitors of this website. 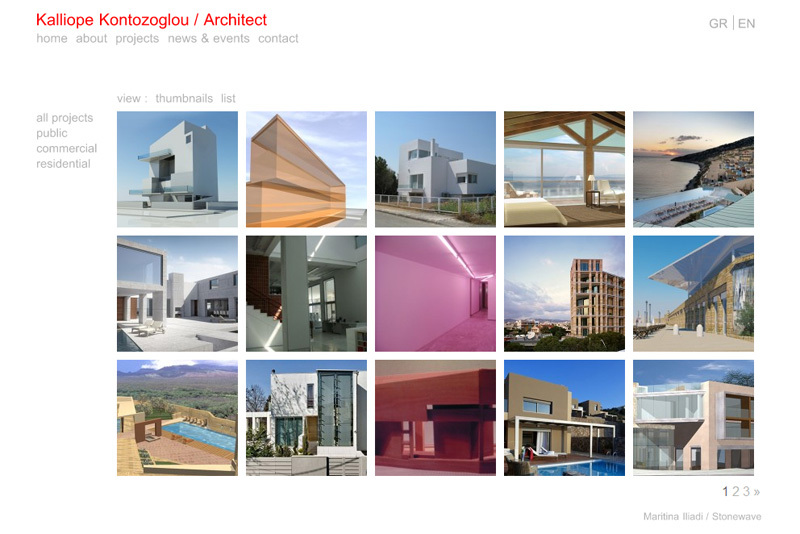 Her portfolio is trully one of the best portfolios that we have ever seen (and we have seen a lot).